As Bitcoin continues to make headlines, both for its changes in price and the apparent revolutionary value of its underlying technology, many wonder how they can participate in the cryptocurrency ecosystem by purchasing some bitcoin of their own. But it isn’t as easy as going down to a bitcoin store and picking some up off the shelf. There are many unique considerations that potential bitcoin investors need to be aware of. The most popular way for casual investors to obtain bitcoin is through an online exchange. These allow investors to use credit or debit cards, bank wire transfers and other online payments systems to exchange fiat currency for cryptocurrency. Some even allow for the exchange of one cryptocurrency for another. When evaluating different exchanges, users should be careful to consider the fees, payment methods, ease of use, security and customer service, among other distinguishing factors. Keeping your cryptocurrency holdings on an exchange is risky, as plenty of exchanges have been hacked and funds have been lost. A user’s chosen method of storing bitcoin is a critical consideration because of the nature of blockchain technology. Once a transaction is confirmed on the Bitcoin blockchain, it cannot be undone. Therefore, it is important to store your bitcoin in a safe place where no unwelcome party can get access to it. It would be wise to find a proper wallet solution before getting your hands on any bitcoin. Several cities around the world are now home to bitcoin ATMs, which allow users to exchange cash for bitcoin directly. Others choose to meet local bitcoin holders who are willing to accept cash in exchange for bitcoin in person. Bitcoin can be obtained by mining, or the process in which bitcoin transactions are verified. Mining bitcoin today requires a significant upfront investment for a mining rig, but if purchased correctly, they can pay for themselves through their production and even become profitable after a certain period of time. This may be the best way for anyone to obtain bitcoin while participating directly in a critical aspect of the network, but it is not usually the easiest choice for casual investors. Increasingly, organizations around the world are offering to pay their employees and contractors with bitcoin. It can be a powerful tool for payments, particularly international transactions. Earning bitcoin can be easy, and it starts with asking to get paid in the digital currency, whether it is through a salary or when selling things. While worldwide regulation around bitcoin and other cryptocurrencies remains far from concrete, some financial institutions have been working to establish options for those who want to invest in the bitcoin market but aren’t comfortable diving straight into cryptocurrency. The Bitcoin Investment Trust is one such option that is up and running. 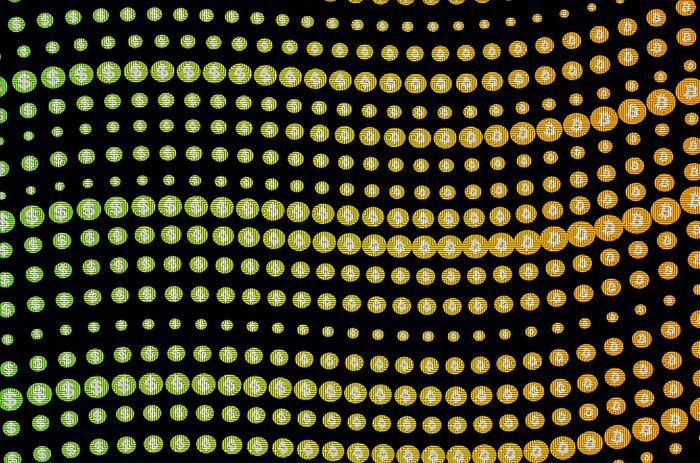 Several exchange-traded funds that would potentially hold bitcoin have been proposed and are seeking regulatory approval, with at least one Canadian and one Swedish option achieving it. Regardless of the method, investing money or time in bitcoin should be accompanied by proper due diligence and an understanding that the price will continue to fluctuate. Any investment should be done at the individual’s own risk.